Unfortunately there is nothing written on the back of this real photo postcard to identify the train station or the regiment these soldiers belonged to. 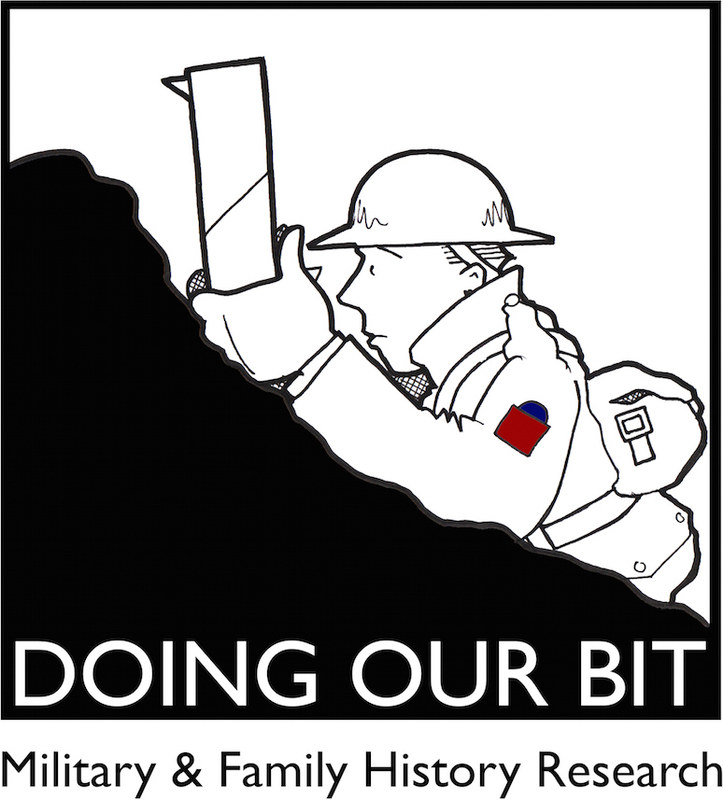 The cap badge worn by the soldier standing second from the right could be from the East Yorkshire Regiment or East Surrey Regiment. Here is a high resolution scan of the photograph which might help you interpret the clues. In addition to the variety of facial expressions I enjoy the small details revealed in the “Smoking” carriage, including the newspaper and studded door panels. Any help identifying the location or soldiers in this photograph would be most welcome. Categories: Photographs, Who Goes There? 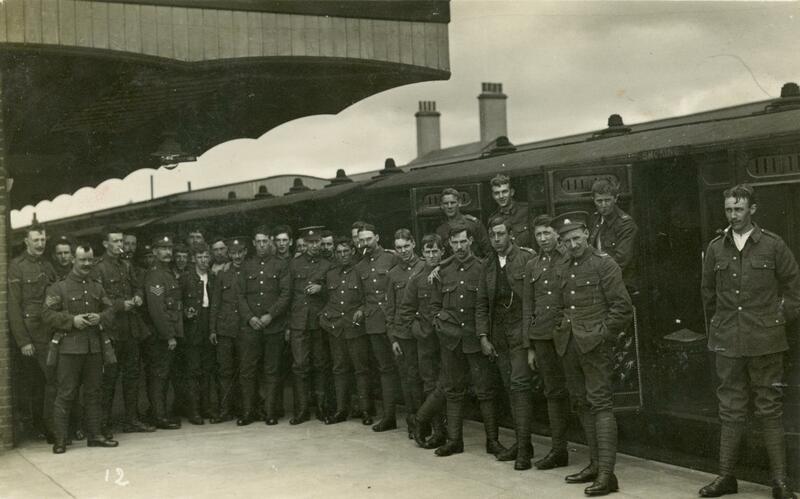 Tagged as: BEF, East Surrey Regiment, East Yorkshire Regiment, postcard, Train Station, Who Goes There?